Lowe’s Home Improvement, one of the largest home improvement retailers in the United States, is able to copy standard, custom designed and most car keys. 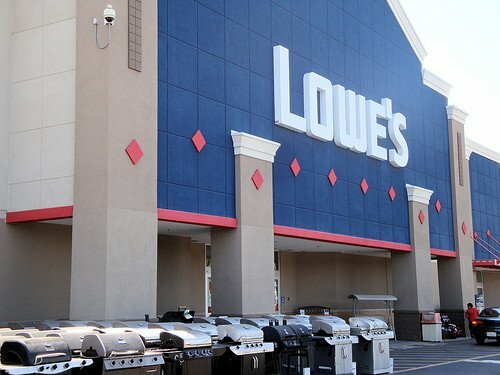 To find a Lowe’s near you, you can do so by visiting the official store locator. How much does it cost to copy a key at Lowe’s? The costs of copying a key at Lowe’s, when we contacted our local location, would depend on the type of key you wanted, with prices ranging about $2 to $5 per key as the retailer charges for the blank key you want and cut it for free. For example, you can shop the blank keys available at your local Lowe’s by visiting the official website. When we did, 564 of the 607 keys were priced less than $5. A painted key, for example, would be about $3 each, whereas a regular Kwikset or Schlage branded key was about $2. If you needed a coded car, however, these types of keys were much pricier, retailing close to $70. The customer service associate did note they cannot cut a laser cut key, which is a key with a smooth side and the center bored out, or a switchblade key, the store will not be able to copy these keys for you. One Lowe’s worker on Quora, for example, said most of your basic keys will be either $2 or $3. Lowe’s does not have the technology to duplicate any chip key since the new key, while be created, often needs to be programmed simultaneously, but this greatly depends on the make and model of your vehicle. To know for certain if Lowe’s can cut your car key, contact your closest location to see if they can.